Burlington, Washington, June 04, 2018: Johnny’s Septic Service is pleased to announce their recent attendance of and participation in the Manufactured Housing Communities of Washington convention. This annual event occurred between May 8 and 9, 2018, at the Tulalip Resort and Casino in Tulalip, WA. While attending, Johnny’s Septic Service advertised their services to new clients by displaying their impact within the Burlington area and its surrounding communities; there, they took the necessary measures to salvage numerous septic systems and sign residents on for regular maintenance services. The entire focus of Johnny’s Septic Service is making necessary repairs to community septic systems. The company recognizes too many septic systems don’t receive adequate care and often fall into disrepair without the resident’s knowledge. They then end up being disserviced by larger septic companies who, rather than repairing the damages, opt to put in a new system altogether. This option is the most costly for the average homeowner. By making repairs and keeping up with maintenance, Johnny’s Septic Service offers a more affordable option to customers, as well as excellent service. Johnny’s Septic Service also caters to emergencies through thorough and cautious scheduling. Customers can trust each member of the company’s staff is not only highly trained, but possesses the best possible equipment to ensure prompt and efficient service. Anyone interested in learning more about Johnny’s Septic Service can get in touch by calling 360-529-4528 or by visiting their website. 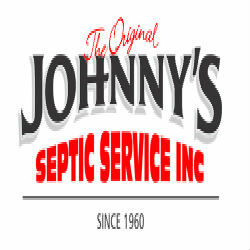 About Johnny’s Septic Service: Since their foundation more than five decades ago, Johnny’s Septic Service has made customer satisfaction their number one priority. The company takes pride in their knowledge of the local community because it is as much of a home for them as it is for their clients. They strive to offer their clients only the most sincere and highest quality service. It is this commitment that has earned them a stellar reputation within the local industry.